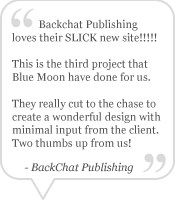 Welcome to Blue Moon Design! Ecommerce website design - EKM design and custom ZenCart and OpenCart templates. Ever wondered how some eBay sellers make their pages attractive? Here's your solution - I design eBay logos, shopfronts, templates and shop / store headers which can enhance your listings, give them a professional appearance and make them stand out from the competition. Web design for eCommerce (online shops) - EKM (formerly EKM PowerShop), OpenCart and ZenCart. Personal and business web pages. Integrate your Twitter, FaceBook and Blogger pages with your online business presence. Etsy banner & cover design. Illustration - editorial, corporate and private commissions, specialising in detailed black and white pen & ink illustrations, maps and decorative lettering.